Alternate headline: Things For Anyone With A Superior Taste In Dessert. 1. 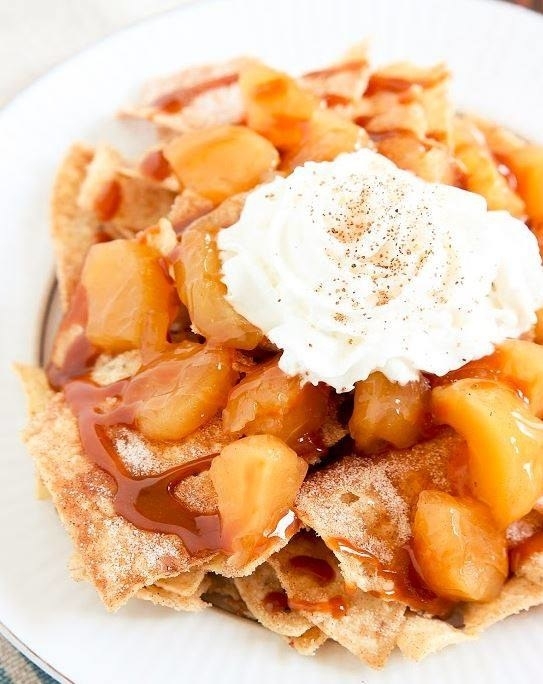 A cookbook filled with recipes and tips for whipping up the yummiest pies, golden crusts, and mouthwatering fillings to keep your stomach and mouth v happy. Get it from Walmart for $23.79. 2. A pie crust shield to prevent edges from getting burnt — because you wanna taste a flaky crust, not a charred crust. Fits up to a 10" pie pan. Get it from Walmart or Jet for $6.94. 3. A slicer that'll evenly divide your pie into seven perfect pieces, so everyone gets the same amount of deliciousness on their plate. Get it from Walmart for $12.98 (originally $16.95). 4. A KitchenAid stand mixer for whipping up your pie dough super fast and seamlessly. 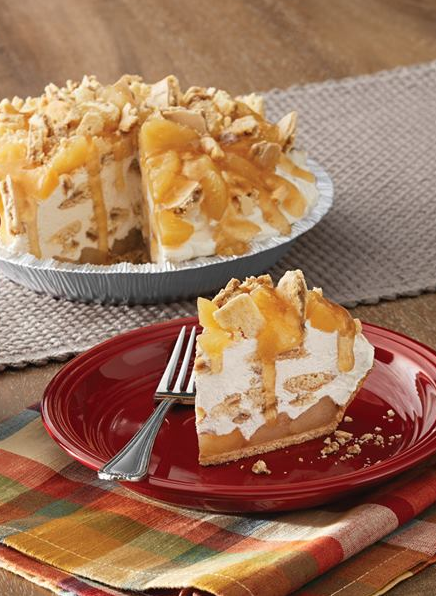 We want you to spend more time eating the pie than preparing it. Bowl has a 5 qt. capacity — up to four loaves of bread or nine dozen cookies. The mixer itself has 10 speeds. It includes the beater, dough hook, and wire whip. Get it from Walmart for $188.99 (originally $229). 5. 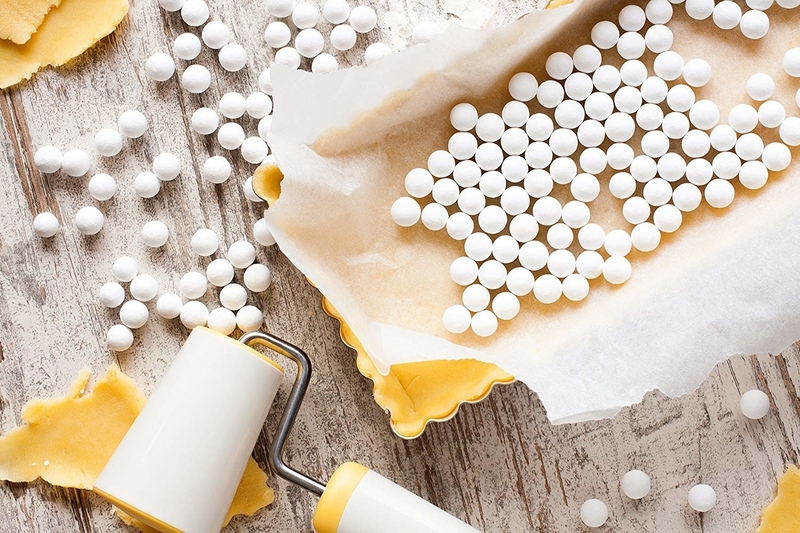 A mini dough press to help you make super adorable, and of course delicious, MINIATURE PIES!!! EVERYTHING YOU LOVE ABOUT PIE IN HANDHELD FORM!! You can pack it with your lunch, eat it in a car, a plane, a train...like green eggs and ham, but PIE. To use, put a circle of dough on the dumpling maker, moisten the edges with a mixture of beaten egg and water, put one tablespoon of filling in the center of the dough, and then fold over and close to press and seal the edges. 6. A plaid pie plate that'll make for a super pretty way of serving up pie to your houseguests. Not to mention, the festive plaid print would be super complementary to apple, pumpkin, or pecan pie in particular. Plate is oven-, microwave-, and dishwasher-safe! Get it from Walmart for $32.99. 7. A four-pack of floral print mini pie plates for ensuring everyone is enjoying their pie out of a beautiful dish. Eating pie is never a causal, whatever activity! It's a formal event! Plates are oven- and dishwasher-safe! Get the from Walmart or Jet for $14.88. 8. 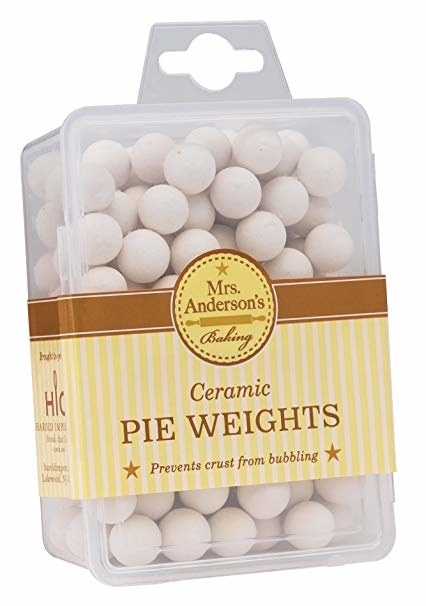 A pack of ceramic pie weights to allow you to bake an unfilled pie crust without it breaking or cracking, so it comes out of the oven ready to be filled with whatever your heart desires! Get them from Walmart for $8.45. 9. 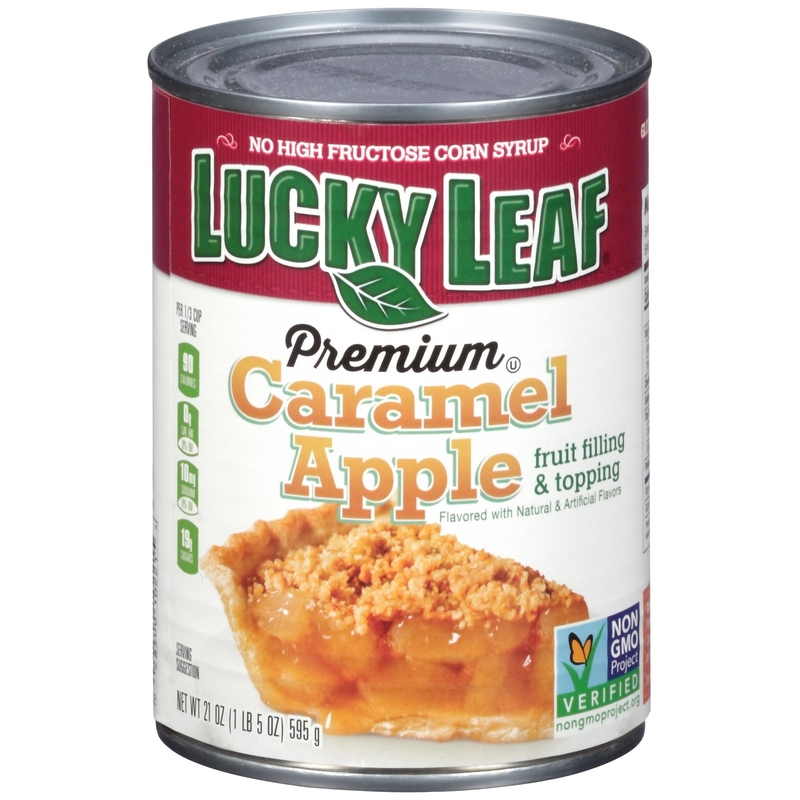 A caramel apple pie filling that'll have your mouth watering the second you open the can (if your mouth isn't already watering looking at the can on your screen). Get a three-pack from Walmart for $7.09, or a single can from Jet for $3.63. 10. A universal plastic cutter to use not just for pies, but for an array of other baked treats (even cake). It'll ensure you get the whole dang piece and that the little remnants that should be in your tummy don't stay behind on the serving plate. Made of lightweight, durable plastic, and without blades so it's safe for the kiddos to use, too! Get it from Walmart for $5.99. 11. A silicone pastry mat with measurements to guarantee you're rolling out the amount of dough needed to make the perfect size pie. Made of non-toxic, lightweight, high temp–resistant, durable, and reliable silicone. Get it from Walmart for $5.99+ (available in two colors, and three sizes). 12. A two-pack of glass pie plates that'll allow you to bake your pie, put it in the freezer, put it in the fridge, serve it, and pop it in the microwave, all while staying in one convenient and elegant-looking plate. These are oven-, microwave-, fridge-, freezer,- and dishwasher-safe, and made of non-porous glass! Get them from Walmart for $8.47 (originally $9.99). 13. A graham cracker pie crust perfect for using in a no-bake pie recipe or in a classic baked pie recipe without needing to go through the hassle of making your own pie crust. Get a three-pack from Walmart for $5.26, or one from Jet for $2.89. 14. 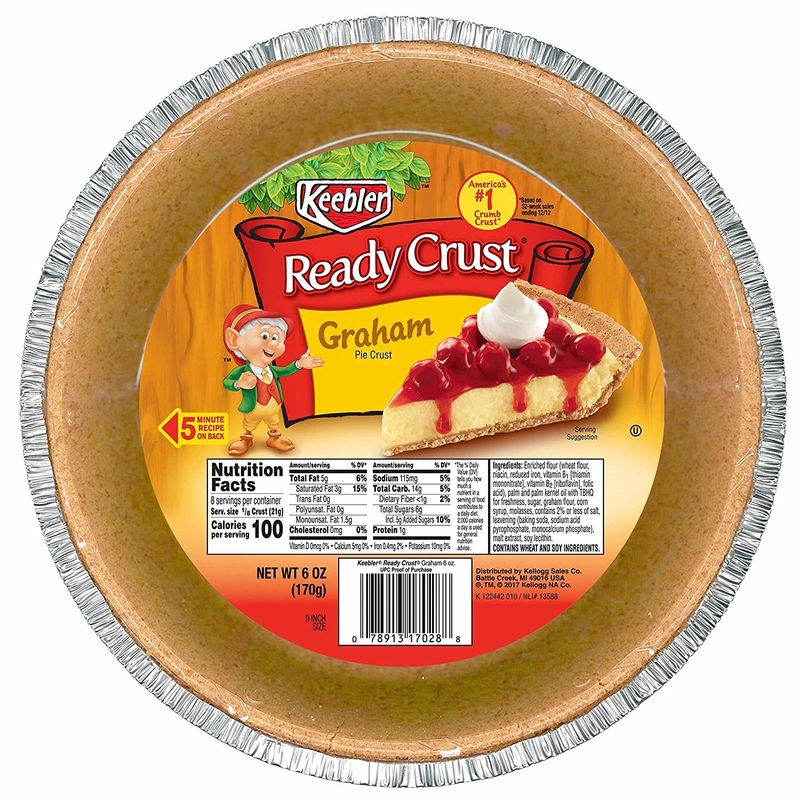 And a six-pack of mini graham cracker crusts so you can take any of the recipes you wanna make with the graham cracker crust from above, but turn them into SMOL versions. Get a three-pack from Walmart for $5.26. 15. A 3-in-1 dessert carrier that'll provide an easy method of transporting all your baked goods such as pie, cake, and cupcakes anywhere you want to bring your yummy creations. Features a snap-tight lid and easy-grip handles to make transporting super easy and safe. This is dishwasher-safe! Get it from Walmart for $5.98. 16. A stainless-steel pie server with a serrated edge for quickly slicing pie when you have family and friends over. Everyone should own an inexpensive, easy-to-clean pie server to make entertaining houseguests a tad easier. Get it from Walmart or Jet for $6.86. 17. A five-pack of coconut cream pie–flavored Larabars so even when you're not eating *actual* pie on-the-go, you're eating something that tastes like pie and is packed with nutrients. Get them from Walmart or Jet for $4.98. 19 Kitchen Products That'll Make You Say "I Can't Believe I Don't Own This Already"